Premier League side Newcastle United have completed the loan signing of Venezuela striker Salomon Rondo from West Brom. The 28-year-old joins the Magpies on a season-long loan deal with English striker Dwight Gayle moving in the other direction. Gayle scored six league goals last season to propel Newcastle United to 10th place and would be expected to replace Rondon at West Brom. He becomes the club’s sixth signing of an eventful summer at St. James Park after Ki Sung-Yeung, Martin Dubravka, Kenedy, Fabian Schar and Yoshinori Muto. 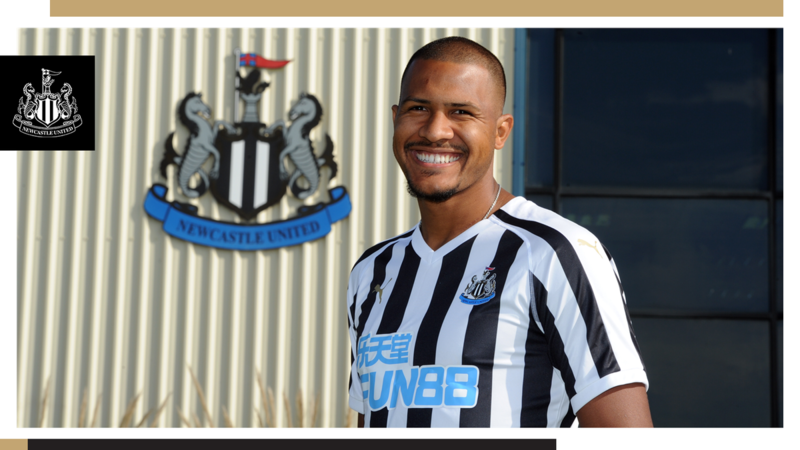 “I am delighted to sign Salomon,” said Newcastle manager Rafael Benitez while talking about Rondon who scored seven league goals last season. “When we were looking for options up front, we knew how important experience would be.” He added.